Arsenal legend and pundit Martin Keown has somewhat surprisingly hit out at Manchester United winger Jesse Lingard for hitting the team’s hopes of beating Liverpool at the weekend. The Red Devils ended up drawing 0-0 with their rivals in Sunday’s Premier League clash at Old Trafford, with Lingard briefly coming on as a substitute in a crazy first half. The England international lasted just 18 minutes before himself being subbed off against Liverpool, and Keown believes he should not have risked himself, despite the temptation in such a big game. Keown recalls he had to make a similar call himself, missing a big game back in his Arsenal days, and says once Lingard had to go off, United were never likely to beat Liverpool having made all three subs before half time. While it seems slightly harsh to pin this on Lingard, there’s no doubt the 27-year-old must have rushed himself back, considering he’d only just returned from injury after missing the win at Chelsea. 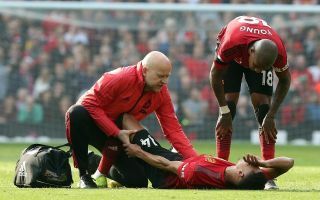 And the fact that he didn’t last long once he got on the pitch suggests it was rather foolish to go out there, with that decision also meaning Marcus Rashford had to play on despite carrying a knock a well. ‘I know how desperate he would have been to play in such a huge game. And with Anthony Martial out, Ole Gunnar Solskjaer would have wanted him available,’ Keown told the Daily Mail. ‘Lingard may have come through training unscathed but you cannot replicate the intensity of a high-stakes game. I admire his desire but any hopes Manchester United had of winning the game faded when Solskjaer had to make three substitutions in the first half. ‘I have been in Lingard’s shoes. I picked up an injury ahead of Arsenal’s 1994 Cup-Winners’ Cup final against Parma — my first shot at a major trophy. ‘George Graham wanted me to play but I told him I would only last five minutes. It hurt me to the core but I had to rule myself out for the good of the team — who won 1-0. The last thing a manager needs in that kind of match is to make enforced changes. ‘At Old Trafford, taking off Lingard meant Marcus Rashford had to play 90 minutes despite not looking 100 per cent. I hope he has not aggravated any injury.